Network Real Estate is a team of agents who specialize in buying, selling, renting, and managing properties throughout southeastern North Carolina. The North Carolina coast is a sought-after location for both tourists and those who want to live in paradise permanently. It’s no wonder, then, that Network’s team of agents are passionate about their job and determined to do everything they can to make their clients’ dreams come true. How does a real estate agency in a highly competitive market set themselves apart and encourage people to buy, sell, and rent through them? Southeastern North Carolina has a lot going for it. 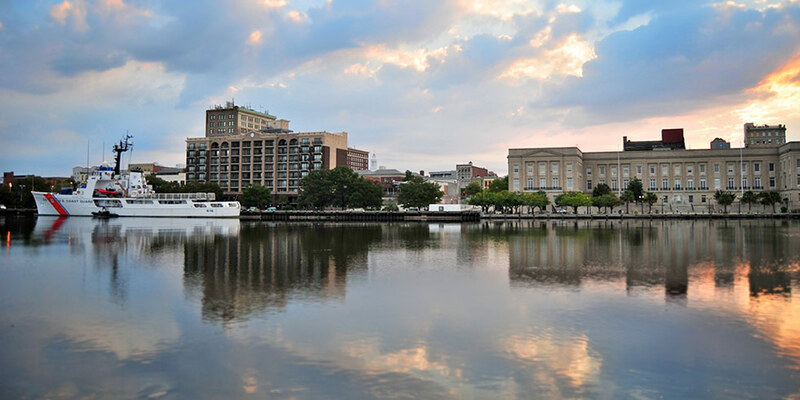 Wilmington is home to an historic Riverfront and a well-regarded university, while Carolina Beach and Kure Beach offer beautiful coastal escapes. Because of these attributes, the area is full of people coming and going, both as homeowners and as tourists. It’s also full of real estate agencies vying for their business. 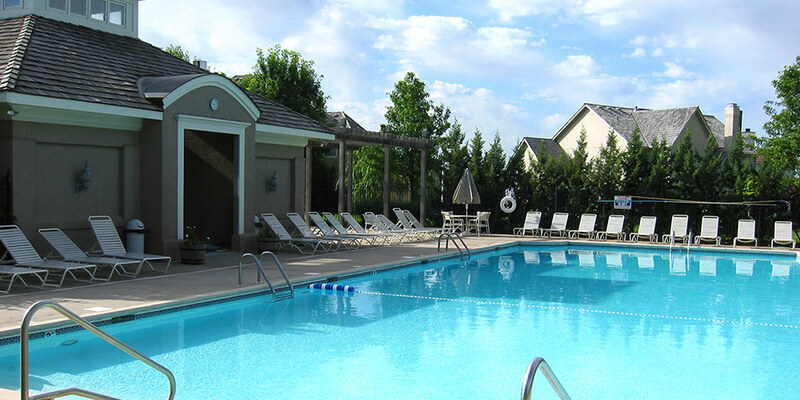 Network Real Estate was founded in 1982, and has grown significantly over the years. During that time, its founders watched as the real estate industry changed. They saw how more and more people were turning to the internet to begin their search for homes and rentals, and understood that digital marketing would only become more important as these trends continued. 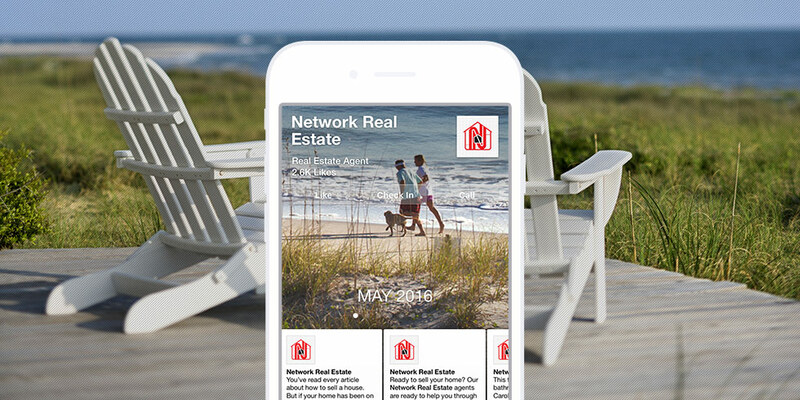 In order to stay competitive and remain the area’s number one resource for all things real estate, Network Real Estate knew they needed the help from digital marketing experts who understood SEO, social media, and southeastern North Carolina. Sage Island checked all the boxes, and a partnership was born. Establishing a reputation as a real estate resource for southeastern North Carolina. Network Real Estate is comprised of a team of agents who love what they do and want to share that passion with everyone they come in contact with, including clients, community members, or people looking for a new career. To help Network connect with these groups, we developed and wrote a large amount of content for the agency each month, which is then published in various locations. 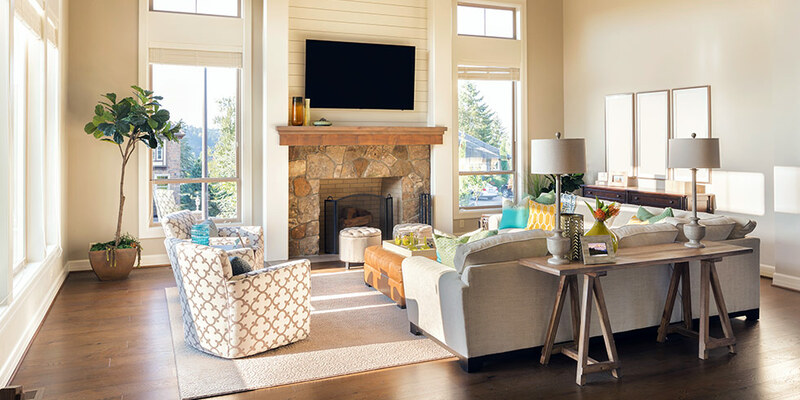 The Network Real Estate blog was updated weekly, with posts that ranged from tips on buying a home, to interior decorating ideas, to DIY inspiration, to fun activities in the area. The posts were shared on Facebook and became a great source of conversation as well as information. We also developed long form content for Greater Wilmington Business Journal’s Insights column. These articles dove into more detail about real estate topics and are read by Wilmington’s wider business community. 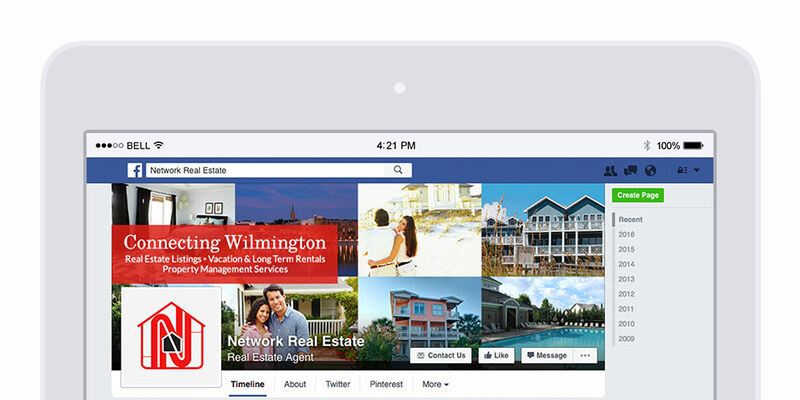 Finally, we helped Network find new real estate agents through monthly lead click campaigns on Facebook. Each month, we targeted a different demographic such as retirees, parents of young children, or recent graduates who expressed in an interest in real estate. Through these lead campaigns, Network grew their team and continued finding the best and brightest in the business to join their ranks. Maintaining a robust social media presence across multiple platforms. Social media is a fun way to connect, explore, and entertain. It’s also a vital part of any business or brand’s marketing strategy. This is Google’s algorithms look highly on a business’s social footprint. The more active a business is across various platforms, the more Google views that business as a good resource. Social media is also a great way to build backlinks to a business’s website, which improves SEO. Since these were Network’s goals, we knew it was vital to maintain a robust social media presence across the most popular and relevant platforms. To that end, we maintained Network Real Estate’s accounts on Facebook, Twitter, Google Plus, Pinterest, and YouTube. The accounts were active and engaged, sharing articles and resources on a regular basis. They also allowed Network’s brand to engage with other local businesses, building key relationships and helping it maintain an active presence within its community virtually and otherwise. We also posted and promoted the latest MLS listings on Network’s Facebook feed, increasing the value of the brand and helping them achieve their goal by connecting clients with their future dream homes. Using Search Engine Marketing to Maintain Rank. Search Engine Marketing is the process of making a website more visible through a variety of strategies. For Network Real Estate, we employed both SEO and PPC to accomplish this goal. PPC, or Pay Per Click, is web advertising that isn’t free or organic. It is, however, a shortcut to Google’s front page—when it’s done right. We created monthly PPC ad campaigns that were triggered by a user’s keywords searches. The ads were identified as such, and proved to be effective within the campaign. Search engine optimization (SEO) is a free resource that produces organic page rank results. 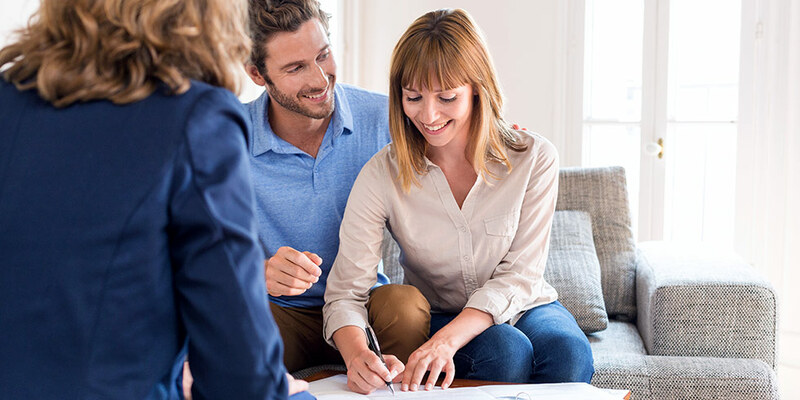 We’ve worked on Network Real Estate’s SEO for years, assisting with first page rank results and during their most crucial moments—that is, when a potential client is looking for a real estate agent to help buy, sell, or rent a home. 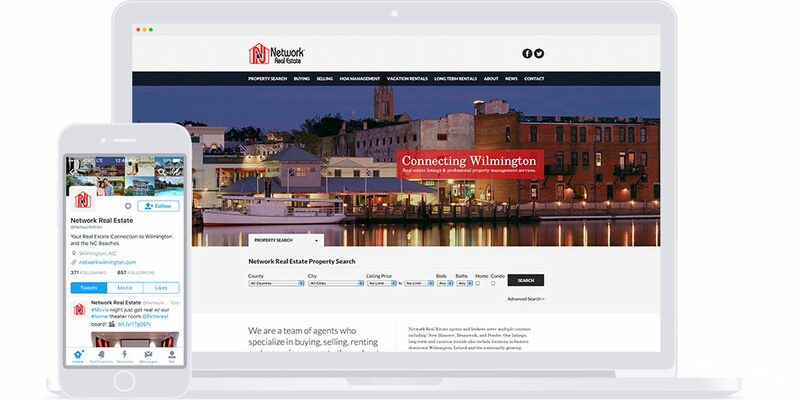 In addition to managing its social media accounts and producing original content, we developed neighborhood landing pages on Network’s website. Focused on popular communities where Network had homes, these pages provided relevant keywords and resources for anyone wanting to learn more about Monkey Junction or Wilmington’s Historic Downtown District. The pages also produced pertinent real estate information for search engines to crawl and retrieve for end users of the site. Sage Island and Network Real Estate share a passion for southeastern North Carolina. It was our pleasure to help them retain their reputation as the area’s real estate experts through a number of strategies and solutions. Does your business need the full package – website design, social media, and digital advertising? If so, you’re in luck – Sage Island does it all! Contact us today and learn more about what we can do for you.